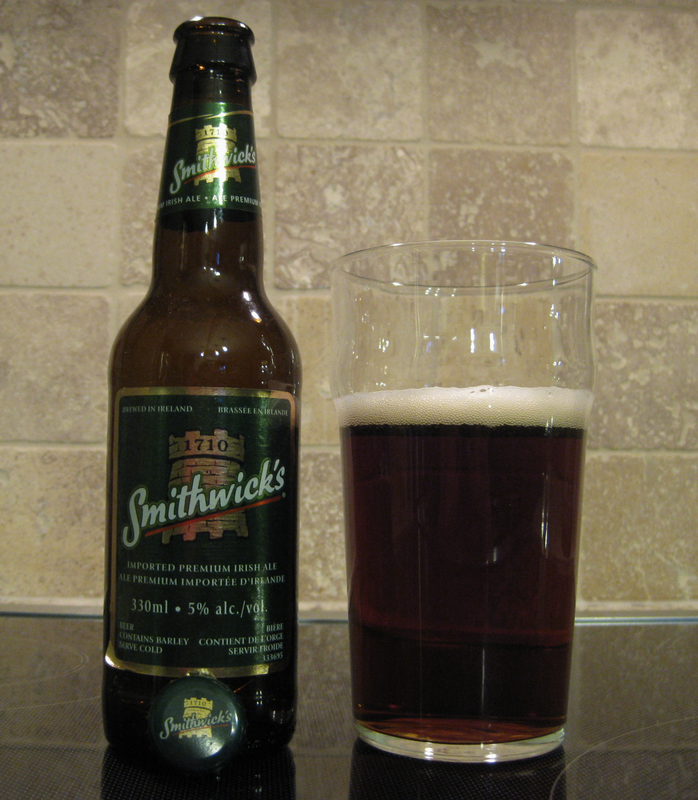 This Irish Ale is a clear amber with a rusty tint to it. It pours with a one finger white head. Head retention was moderate and lacing was present but not in huge amounts. The nose is very subtle with a faint malty aroma. There are notes of caramel and hops but, again, very subtle. The taste is clean and reminiscent of a lager. The malt leads the flavor march and tastes a bit more grainy than the aroma. Caramel is again present but understated. The yeast and hopes are present but very hard to detect. They taste very clean – almost fresh – but are quite understated. The mouthfeel is soft and it drinks very clean and crisp with a somewhat dry finish. Medium carbonation. This Ale seems to straddle a couple lines with lagers but is quite refreshing and very easy to drink. This is another beer to remember when you aren’t looking for something new or extremely interesting and just want a reasonably priced six pack for some event. In fact, if you have friends who aren’t big into the beer scene this might even be quite interesting for them. 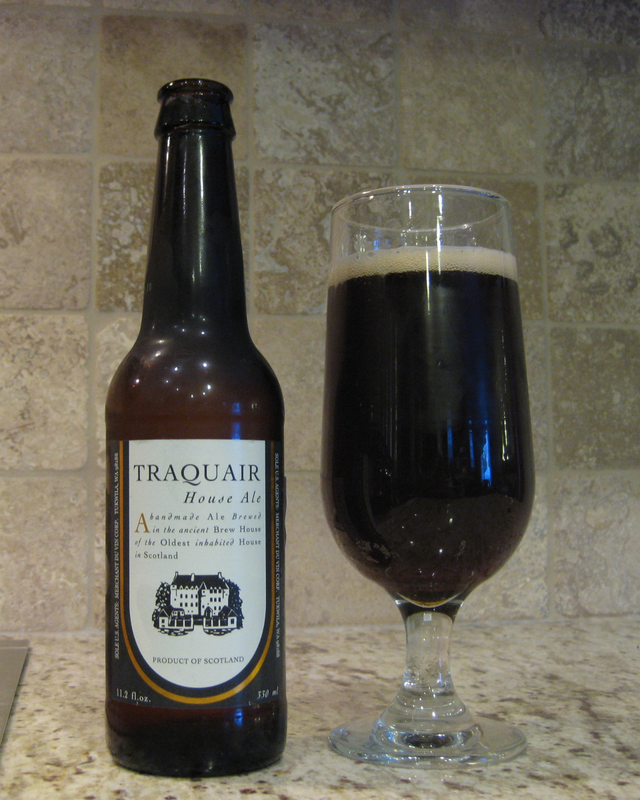 Traquair House Ale pours a dark chestnut color that is virtually impenetrable by light. The head developed one finger thick even with an extremely aggressive pour. There was minimal lacing and short retention. My nose is picking up on a handful of similar aromas: roasted malt, toffee, caramel, and molasses. They all balance each other out quite well. The taste was not as loaded as the aroma. I only really notice roasted and nutty caramel and toffee. It is surely less complex then smelling the beer let on. The mouthfeel is quite light and carbonation is low to medium. The alcohol content of 7.2% is not any more noticeable than a beer with 5%. It goes down quite easy. The individual aspects of this beer are less than the sum of its parts. My general overall impression of this beer is quite positive. It has very complimentary flavors, smells, and mouthfeel that combine for a very enjoyable drink.